Imagine being born on the wrong side of the gender divide, living as a woman in a man’s body or vice versa. We’ve come to view so-called ‘identity politics’ as social theatre but for every transgendered person who strikes a militant pose there must be hundreds who simply crave normality. 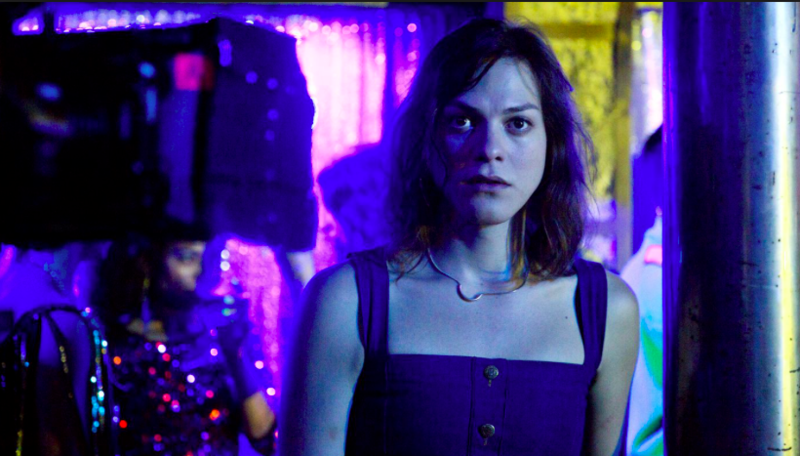 Marina, the protagonist in Sebastián Lelio’s A Fantastic Woman, wants nothing more than to be accepted as one human being among others. ‘Normal’ has a special resonance in Chile, a country that still recalls what it was like to live under a military dictatorship. The Chileans put a value on personal freedoms that Australians tend to take for granted – or at least this is the impression one gets from films by rising directors such as Lelio or Pablo Larráin. Lelio’s previous feature, Gloria (2013), looked at an older woman who strove to remain active and sexually desirable in the face of social pressure to sit quietly on the shelf. A Fantastic Woman introduces us to a character played by transgendered actor, Daniela Vega, who insists on her basic right to attend the mourning rituals for a loved one but runs up against a wall of prejudice. The story begins with Orlando Onetto (Francisco Reyes) an ordinary-looking man in his late 50s, leaving work and going off to meet his much younger girlfriend, Marina, who is singing in a cabaret. It’s Marina’s birthday, so there’s a Chinese meal and a cake. Back in their apartment they go to bed, but later that night Orlando sits up, feeling unwell. Although he is rushed to hospital Orlando dies of an aneurysm, leaving Marina to answer questions from doctors and police. This is where the substance of the film kicks in. The police are notified ostensibly because Orlando had cuts and bruises from a fall, but really because Marina – who is too feminine to be male and too masculine to be obviously female – is deemed suspicious. Her identity card still registers her name as “Daniel”. As a transgendered woman with an older man she is assumed to be a prostitute. In the days after Orlando’s death Marina will be visited at work by a woman from the sexual offenses unit and subjected to a demeaning physical examination. Worse still, she will be evicted from the apartment, and have to deal with Orlando’s estranged family members. His ex-wife, Sophia (Aline Küppenheim), finds the entire relationship inexplicable, nothing more than “perversion”. His son, Bruno (Nicolás Saavedra) is a much nastier proposition. Lelio makes no attempt to excuse the anger and prejudice of Orlando’s family. It’s partly to do with their pain at being abandoned, but mostly because they feel embarrassed that their husband or father should have taken up with a transsexual. Whatever anger they felt for Orlando is passed on to Marina, who is less than human in their eyes. The only reasonable person is Orlando’s brother, Gabo (Luis Necco), who tries to be understanding to both parties, but is utterly ineffectual. There’s no doubt who’s side Lelio wants us to take. Orlando’s family are an ugly bunch, with Bruno exposing himself as an unscrupulous thug. In the role of Marina, Vega has to master an entire catalogue of blank expressions. There’s the blank expression that masks unspeakable anguish; the expression that conceals flaring anger; there’s one of stifled astonishment, and so on. Despite being exposed to a succession of insults and humiliations, Marina tries to be stoical. She finally rebels when told she is not wanted at the funeral service or the crematorium. The more she insists on her rights, the more she risks the hatred and potential violence of the family. Persisting in her folly she is encouraged by Orlando’s silent ghost, who makes recurrent appearances in magical realist fashion. Everything in the film conspires to emphasise Marina’s isolation and her constant struggle. At one point she finds herself walking into a sudden gale that leaves her leaning into the wind at a strange angle, like a tableau vivant. In a nightclub she finds a community of sorts, but it’s a furtive, decadent interruption in the sequence of small oppressions that represent daily life. It’s not coincidental that nightclub and crematorium share the same taste for eerie lighting. If Lelio left it like this we might walk away from this film with a maudlin impression of Marina’s life and future. Her saving grace is a singing voice that sets her apart from the herd more effectively than her gender bending. We see at last that Marina can be “fantastic” in a positive sense. Until this point it seemed the movie’s title could only be read ironically, as a comment on her freakishness. In the singer’s art there is a haven in which social conventions are suspended and the burdens of the flesh forgotten.